Starting out as a little game jam prototype game, the developers brought this amazing platforming title to the resounding title that it is. 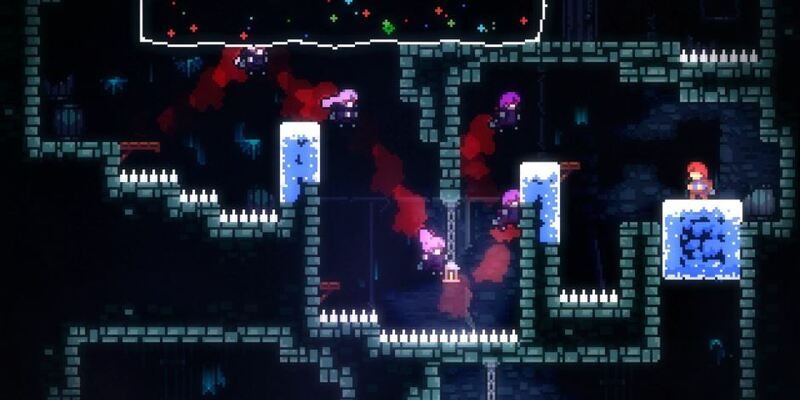 Available on all current generation platforms, Celeste has brought entertainment for countless players this year. Unworthy by Aleksandar Kuzmanovic Games Inc. Bringing a pixelated form of Dark Souls, this light platforming and extreme combat based game has brought both frustration and challenges for players to overcome. It is one of the few titles that earned itself a perfect score from the Gametyrant team. Mixing together the popular rhythm game style of Guitar Hero with the weapon everybody has been waiting to wield in Virtual Reality, the light sabers, Beat Saber is both challenging and addicting for music game fans. Available on both PC and PSVR, this title was well worth the countless top scores it received on all of its reviews. Bringing back the classic survival horror aspect that puts a player inside a home that they need to survive long enough to escape from and mixing it with the psychological horror aspect of an ever-lurking enemy within the walls, this story based house-wide puzzle horror game mixes classic and modern horror wonderfully. Another enjoyed title that received a positive review from the Gametyrant team. In an industry that believed that the split screen co-op field was dying, A Way Out proved that not only was it exactly what players wanted, but that it can be the entire focus of an amazing game. Giving players the chance to choose their own path to reach the ending added to the couch co-op experience as there had to be agreements and discussions made in order to escape the prison successfully. It was also a well received title that earned a positive review from the Gametyrant team. While there were many great indie games published throughout the year, and quite a few that took a sideline or bounced in and out of the Top 5 list before we settled on our decisions, these five games left a memorable impression on us this year. A few of the runner up titles include: Vampyr, Call of Cthulhu, and Lust for Darkness. What do you think of our Top 5 Indie Games of 2018 list? Do you agree or would you have put a different list together after looking back on this years latest games? What Game Are You Playing This Weekend? !